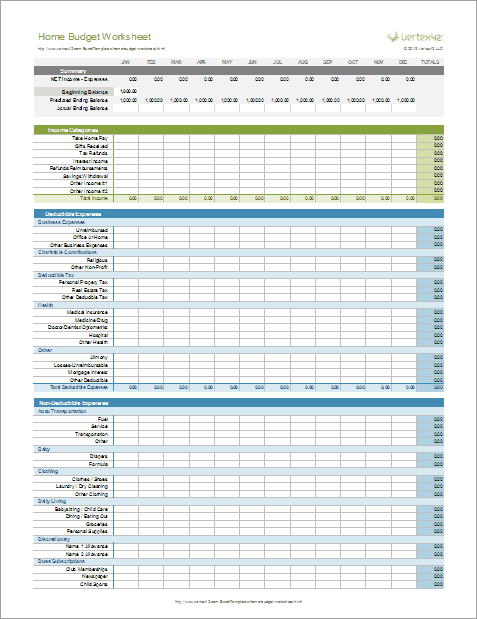 Return to the Home Budget Worksheet page to learn more about this template. 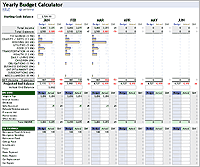 "I just downloaded an awesome Home Budget Worksheet for Excel from @Vertex42"
To share this resource, please link to the Home Budget Worksheet page. Record daily transactions just like you would with Quicken or Microsoft Money. 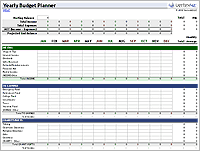 The budget report updates automatically based on your transaction history. How fast can I get out of debt using the snowball technique? 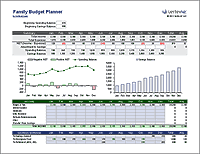 Combines a yearly budget planner with monthly calculations and graphs. Ready to move beyond a spreadsheet? 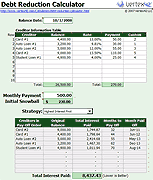 YouNeedABudget.com has developed an excellent budgeting tool that is designed from the ground up to help you get out of debt and save money. 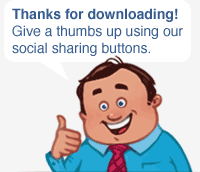 They have a free 34-day trial. Disclosure: I know the founder of this company, so my referral may be biased.